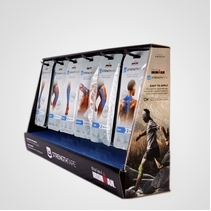 STRENGTH TAPE is a kinesiology athletic tape that can be used to support common injuries. Whether you are trying to come back from an injury, prevent an injury, or seeking an edge in performance, STRENGTH TAPE can help. 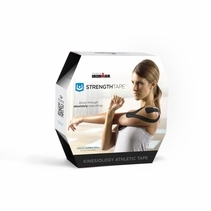 Kinesiology tape differs from other athletic tapes both in the way it feels and the way it is applied. 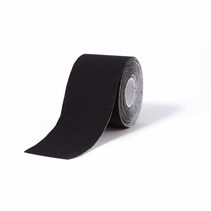 Rather than wrapping the tape completely around the injured area, kinesiology tape is applied to targeted areas directly over and around the injury. Its unique elastic properties provide support while allowing for a wide range of motion and helping to improve blood flow and lymphatic circulation.